Tired of treating the symptom and ready to treat the cause? We get to the root of your chronic pain through Egoscue postural alignment therapy. Return your body to proper alignment, function, and balance all without drugs, without surgery, and without manipulation, allowing you to live pain free! Correcting your posture with Egoscue technology will allow you to live the life you want to live and continue the activities you love to do, pain free! We believe that your chronic pain is not because of your age, genetics, past injuries, or activities you do. We believe your pain is because you have lost proper postural alignment. Correcting your posture with Egoscue technology will allow you to live the life you want to live and continue the activities you love to do, pain free! Oregon Exercise Therapy is client driven, education focused, holistic, and life changing healthcare that empowers you to tap into your body’s natural ability to heal itself and live a pain free and active life. Egoscue University® Approved Providers have met or exceeded the required standards of the Egoscue University. They are certified either as an Egoscue® Posture Alignment Specialist (PAS) or Egoscue Advanced Exercise Therapist (AET). 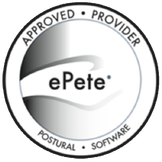 Egoscue University recommends these Approved Providers because they also utilize the ePete software, which is the standard of therapy for posture alignment therapy and used in all Egoscue Franchise clinics world-wide.